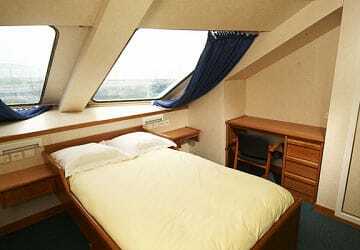 The Seven Sisters is a superb modern ship launched in 2006 and offers optimum comfort whatever the sailing conditions. 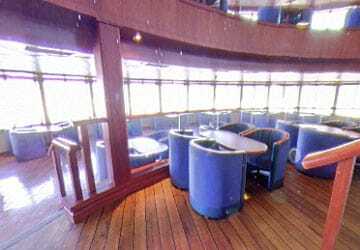 Tastefully decorated, the Seven Sisters offers excellent facilities including a panoramic lounge, a bar, a restaurant, a boutique, WiFi, children's play areas and high quality cabins. 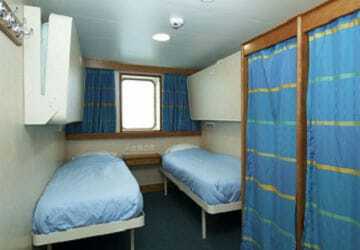 There's a choice of 50 cabins, all of which are en-suite. A cot is available upon request at the reception desk. 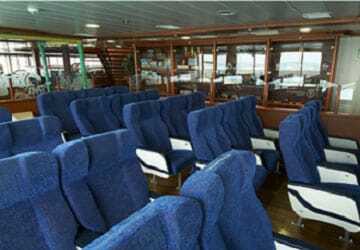 In terms of seating, the Seven Sisters offers you free standard type seats so that you can relax during the crossing. All tastes are catered for in the Lanes - a relaxed self-service restaurant offering superb value for money whatever the time of day. Children’s menu and vegetarian options are also available. The Beachy Head split level panoramic bar offers superb sea views and whether you're looking for a coffee, fruit juice, some fine French wine or a cold beer there's something to suit all tastes. 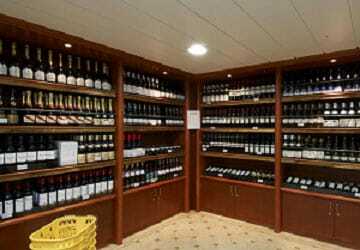 Onboard you'll find an extensive range of specially selected alcohols, tobaccos, perfumes, toys, books, cameras and chocolates, as well as a host of other wonderful gift ideas as well as daily newspapers. A number of areas have been set aside for children. Younger children can let off steam in a brightly-coloured play-zone while video games and cartoons will keep the older children entertained. 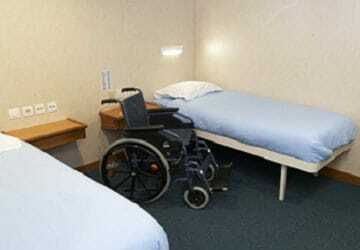 There is a specially adapted cabin for passengers with reduced mobility. Please Note: Whilst we have taken great care in making our Seven Sisters guide as accurate as possible, onboard facilities, services and entertainment may vary depending on the date and time of year that you travel, facilities mentioned may change without notification and ferry companies reserve the right to operate vessels other than those mentioned at time of booking without prior notification. A pleasant and relaxing journey. Apart from the gents toilets on side of one deck being locked and unavailable for use on the return trip I wouldn't criticise this service at all. I shall be happy to use this service again. I didn't use the catering but it all looked fine but the main thing was we were comfortable and on time. Thank you, once again, Direct Ferries - and DFDS Seaways, for a quite restful sea crossing, Newhaven - Dieppe. We wouldn't chose any other route. Prompt and efficient. A welcome as you came aboard from one of the crew. Spotless and comfortable. Cabins very good. Would use this service again. Oh, grub good as well apart from the "duck pie" which was rather dry and tasteless. We travelled on the 1am ferry Dieppe to Newhaven. 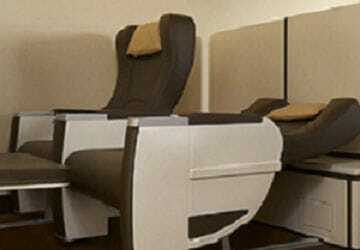 More info re loading process would be good and dimming the lights in the reclining seat area would be welcome. Otherwise we like this crossing as it is convenient and less subject to hold-ups than any Docer/Calais crossing. All good on both crossings. "France for the first time." 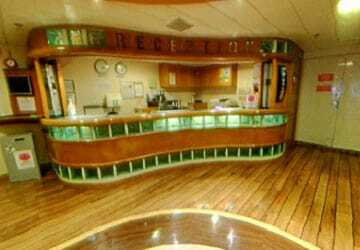 We have always travelled with direct ferries as they make it so convenient and easy for us to travel. The staff are extremely helpful and friendly and nothing is too much trouble for them. 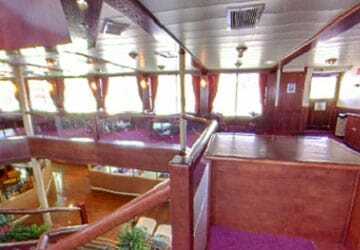 All OK, apart from hoards of children running around the ship - particularly dangerous near the bar. We were very pleased with our crossing from Newhaven - Dieppe at the end of August. 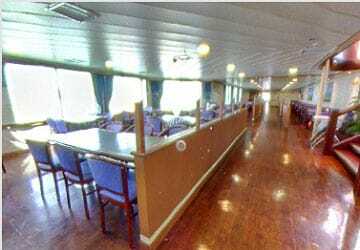 Couldn't fault the ferry itself, spacious, clean and decent enough facilities. Ideally would have had slightly more for children, particularly younger children to fdo, perhaps a more substantial soft play. Also the price of food etc on the crossing is pretty steep which is although sadly anticipated, still disappointing. 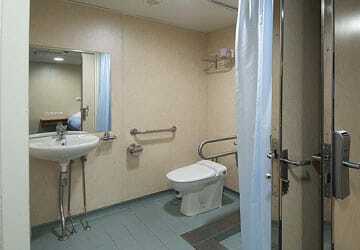 The only other disappointment was the lack of facilities prior to boarding. A place to get a decent coffee and snack would make a fortune! On the same note, Newhaven port itself could do with a spruce up, not a fortune spent but it's not the most glamorous vision to meet you on depart/arrival. Great journey from Newhaven to Dieppe (& return). Left on time after an unhurried check in and boarding. 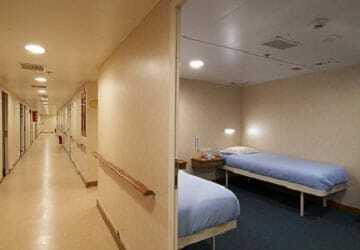 Clean comfortable cabins. Pleasant ships with everything we needed. Good hot food. Great cup of coffee from the upstairs bar! Although fairly small there was a well stocked shop. Overall very pleased with sailing this route. 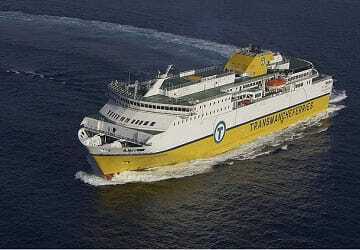 Would use this route and DFDS again. 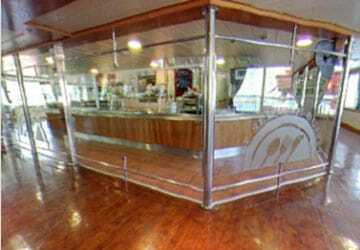 The price of the tickets was very good and the ship itself had reasonable prices in the food outlets. The journey went by quickly. We are hoping to use again next year this time with our Vespa! It took a bit longer to get off at Newhaven but that was due to Border Control. Very good service, no delays on our crossings. Friendly and helpful staff. Shop was good and not stupidly expensive, but reasonably priced. Only downside was that you could not hear the televisions (sound turned off) which seemed a bit pointless having them on. Breakfast (cooked English) was O.K. but the mushrooms were tasteless with an unpleasant texture. However, overall I would recommend this route (Newhaven to Dieppe) and we would definitely use this route again when visiting North West France. 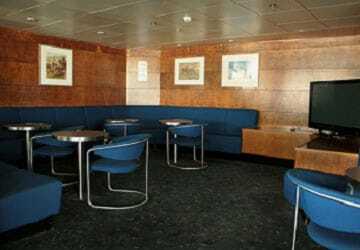 "Ferry trip Dieppe to Newhaven"
A very good experience- it all went well and I was impressed.